TECHNEDs Investment LLP. 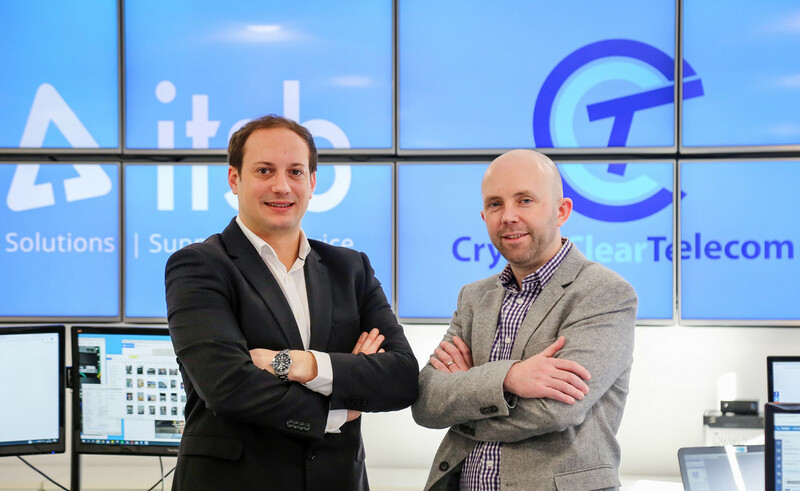 announces that two renowned Bournemouth based technology businesses have joined together in a merger that was coordinated with the support of the experienced technology investment firm. Managed IT support, cloud and security specialist ITSB and communications provider Crystal Clear Telecom Ltd. have combined their skillsets to create a business providing clients a stronger, more unified UC platform, helping to future-proof their product and service offerings with innovative solutions. This merger is the product of strategic business support and coaching provided by trusted advisors and investment experts TECHNEDs. The technology investment firm has been instrumental in accelerating growth within the two businesses. The evolution of these two businesses coming together has been fully supported by TECHNEDs who will continue to provide strategic expertise as they prosper into an even more successful future under the continued guidance from Simon Mewett. Crystal Clear Telecom was established by Mr Gower-Smith in 2013 and prides itself on simple and effective solutions in the hosted voice market including resilient connectivity, mobile communications and payment services. ITSB was founded by Mr Dredge in 2010 and operates from the south coast, along the M3 corridor and into London where it has a particularly strong presence as a technology-led, expanding Managed IT Services Business. TECHNEDs continues to grow its portfolio, strategically making investments and providing coaching and advice to help businesses - broadly across the Technology Sector – succeed, with a strong focus on service quality and innovation. Established in Nov 2016 by Founder and Managing Partner Simon Mewett, TECHNEDs is a UK technology investment firm that provides expert coaching and guidance to help businesses succeed. They have an active portfolio of technology firms to fast track them into profit, growth and prosperity, either through private investment funding or sharing their expertise and knowledge as non-executive directors (NEDS). TECHNEDs offer strategic and financial support. The culture is that of leadership and guidance and continue to seek opportunities to invest in UK based companies in the technology sector, with a turnover from £1m – £10m. The team has a wealth of success and experience in the technology sector with impressive results to ensure businesses and its people both thrive and succeed. This press release was distributed by ResponseSource Press Release Wire on behalf of Tricca Consulting Ltd in the following categories: Business & Finance, Computing & Telecoms, for more information visit https://pressreleasewire.responsesource.com/about.